CCW University’s Future Leaders Certification Program is laying the groundwork for the future growth and success of high-potential managers who represent the next generation of contact center leadership. 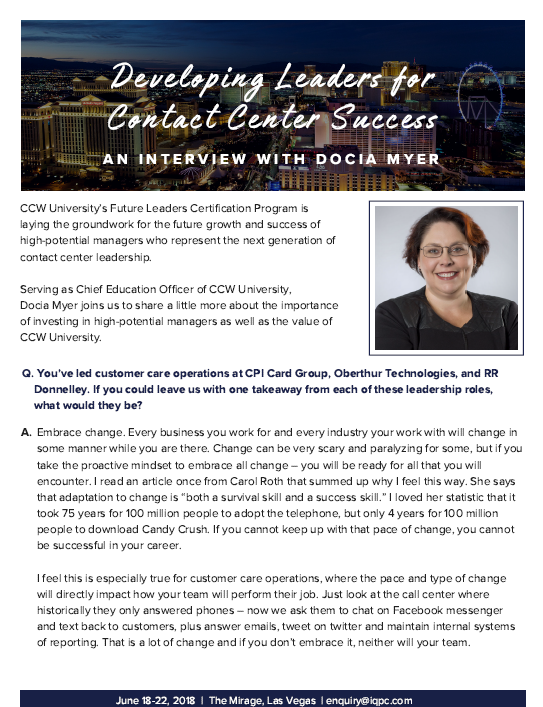 Serving as Chief Education Officer of CCW University, Docia Myer joins us to share a little more about the importance of investing in high-potential managers as well as the value of CCW University. If you would like a copy of this interview to be sent to you directly, contact us.